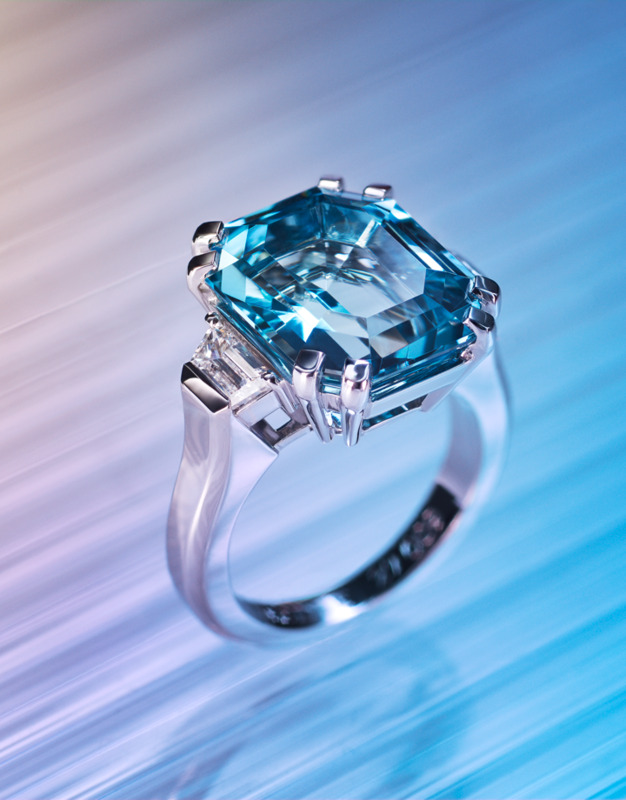 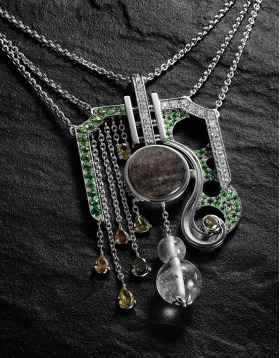 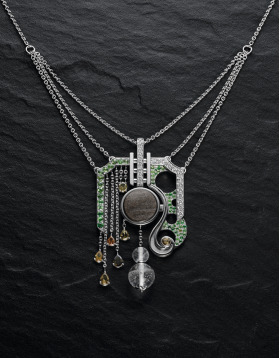 Serti d'une émeraude naturelle de 3,18 carats, le collier Adélaïde est accompagné d'un rapport de gemmologie spécial. 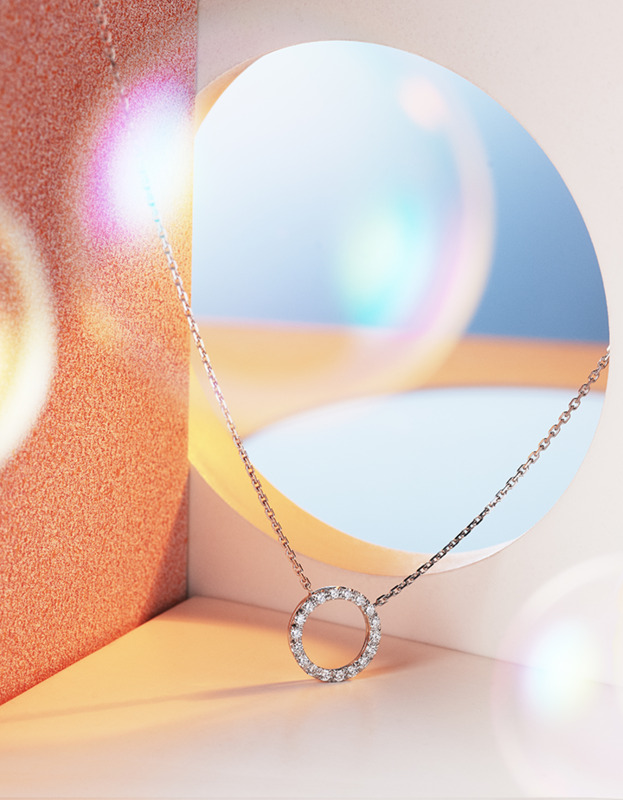 Ce collier est en or blanc 18 carats, serti de diamants pour un poids total de 4,52 carats et d'une émeraude exceptionnelle de 3,18 carats. 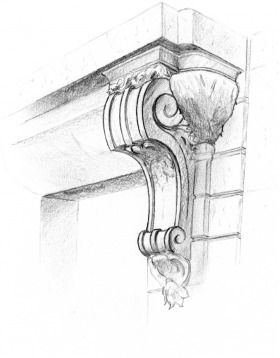 Architecture is often a source of inspiration. 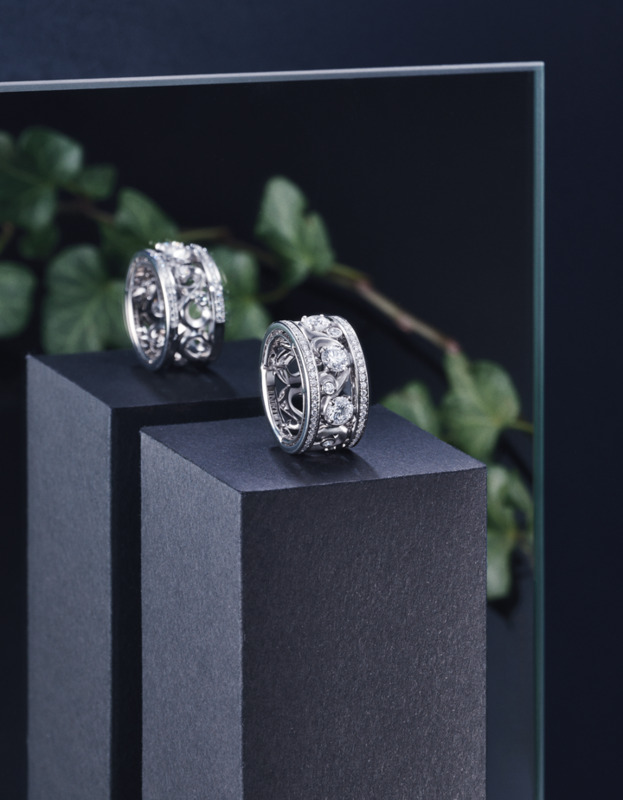 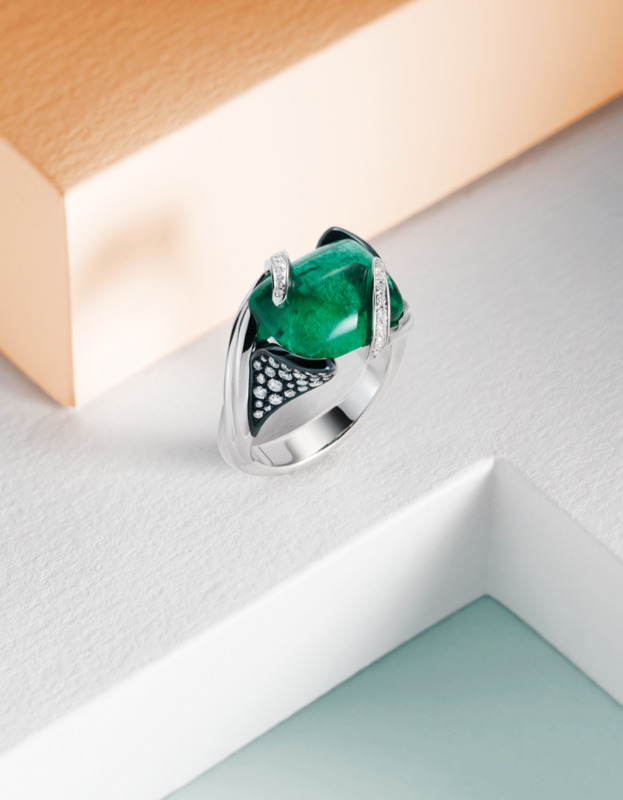 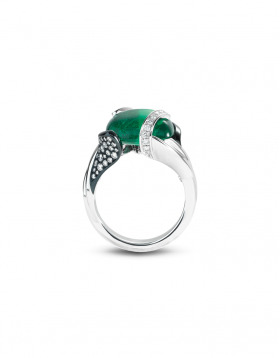 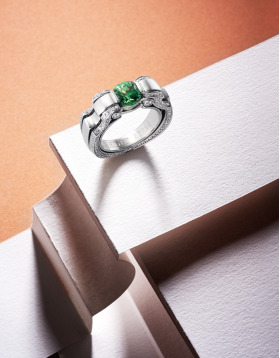 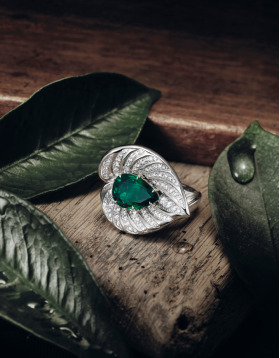 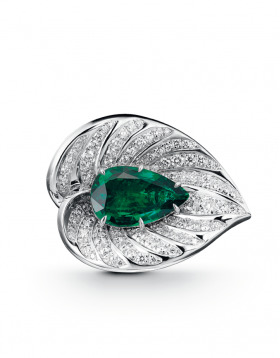 These "Haussmanniens's encorbellement" have actually influenced the creation of this ring.Encorbellement ring in 18k white gold, set with diamonds for a total weight of 0,69 carats and with a tsavorite of 1,48 carats. 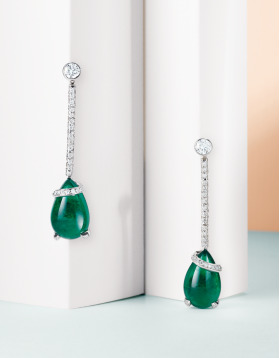 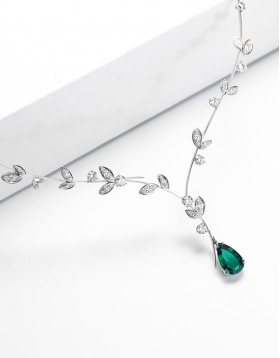 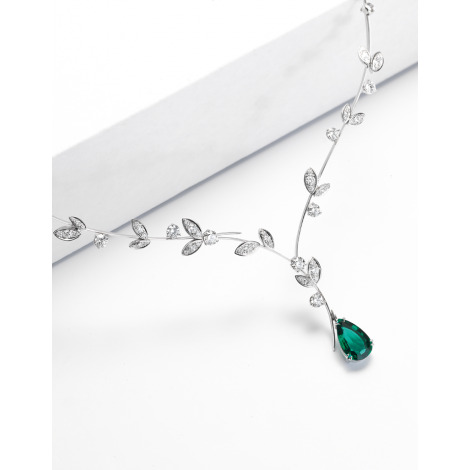 The exceptional character of these earrings comes from its emeralds, in cabochon. 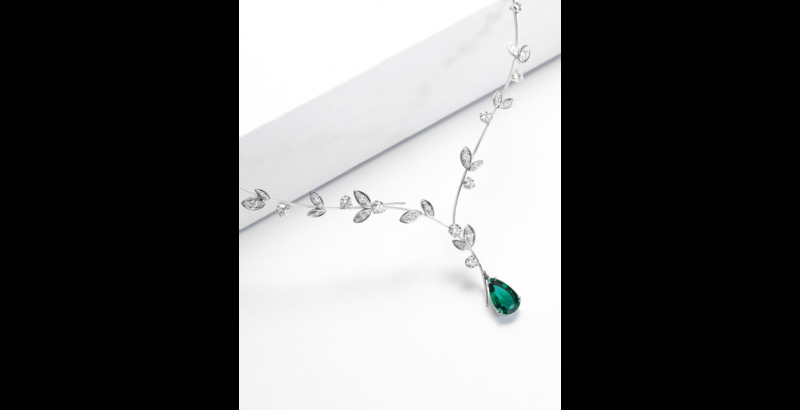 Jaïpur earrings in 18k white gold, set with diamonds for a total weight of 1,55 carats and with a pair of exceptional emeralds of 12,58 carats. 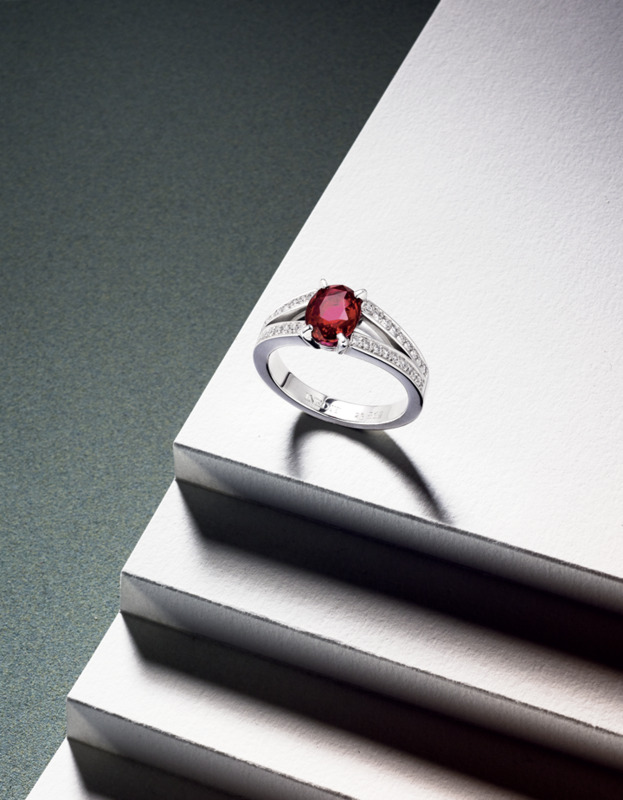 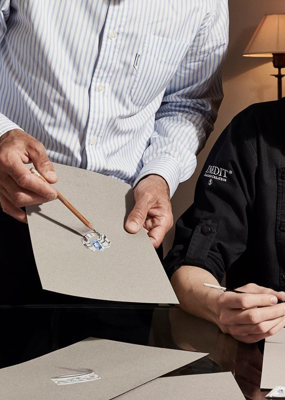 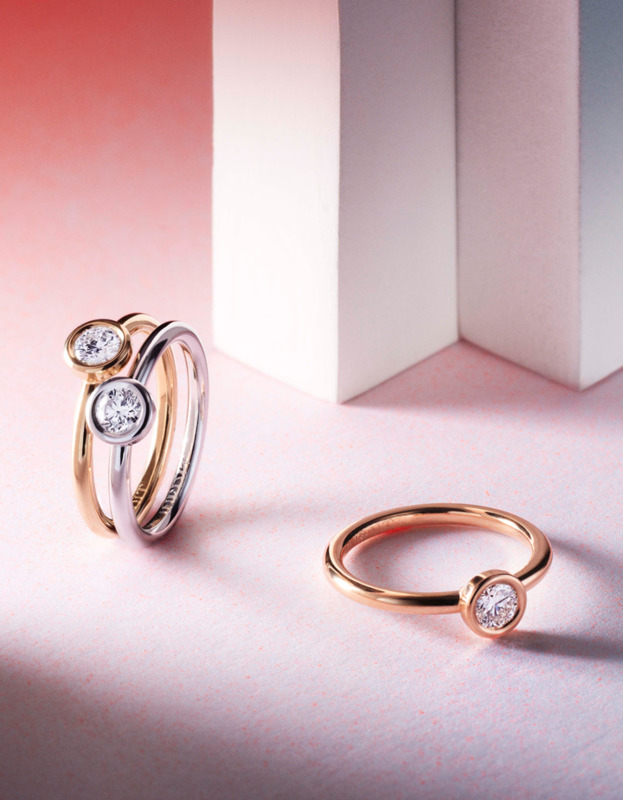 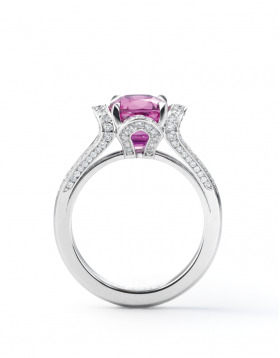 The design of this ring is inspired by the Lotus flower, but its exceptional character comes from its central stone, this naturally sparkling pink sapphire. 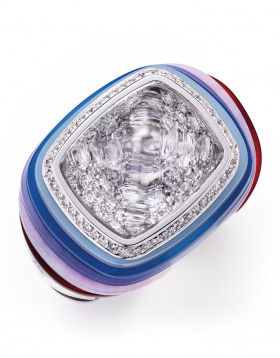 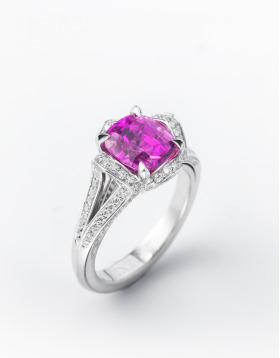 Rose ring in 18k white gold, set with diamonds for a total weight of 0,48 carats and with this naturally, unheated pink sapphire of 3,89 carats, shiny finish. 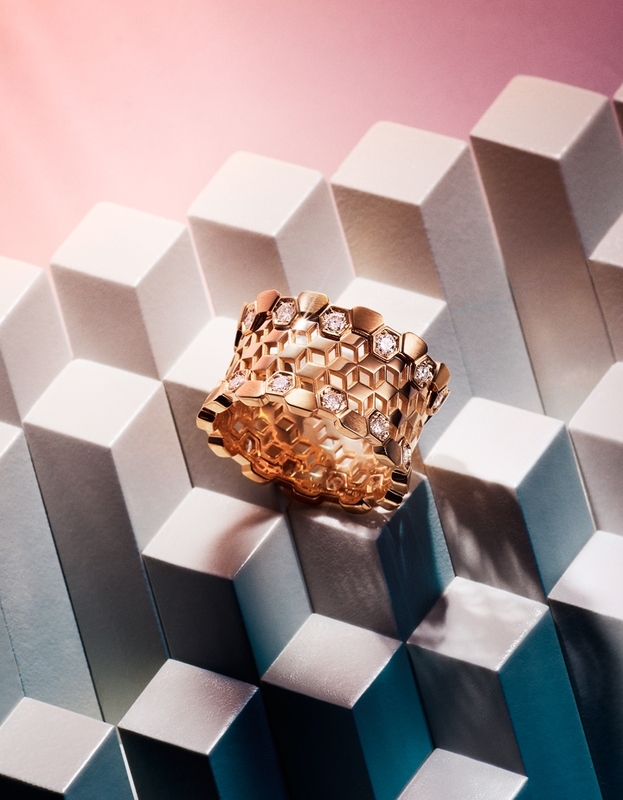 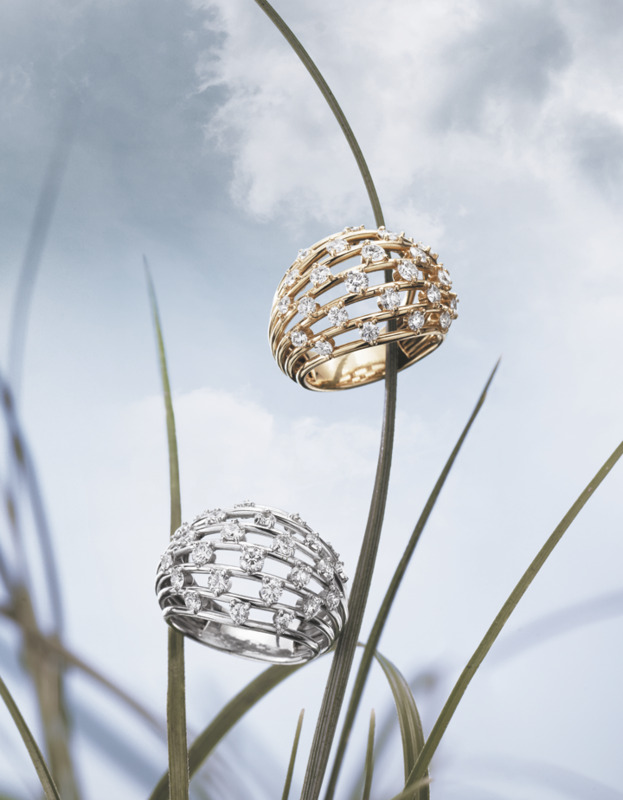 The Couture ring is inspired by a fabric, a drape, a marked size.Gold is worked in honeycomb, like tulle, and in different shades, in black and white, which gives it volume and an amazing lightness. 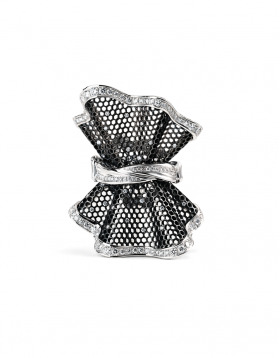 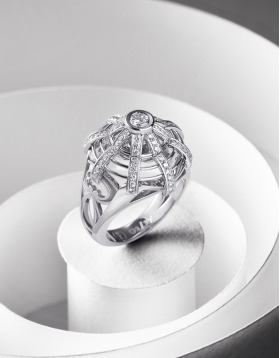 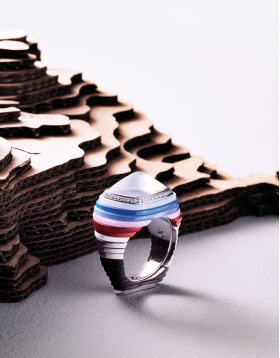 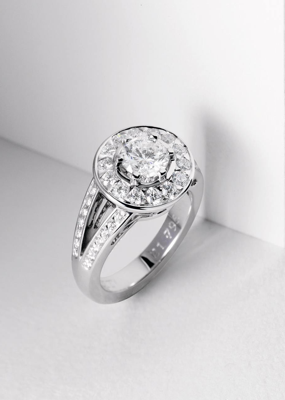 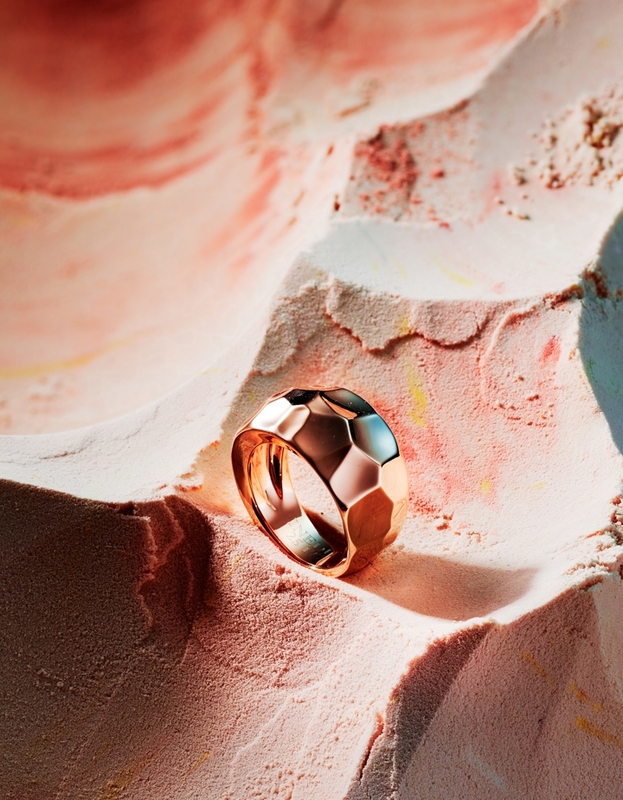 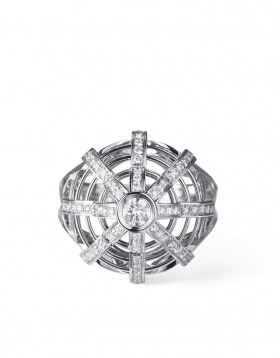 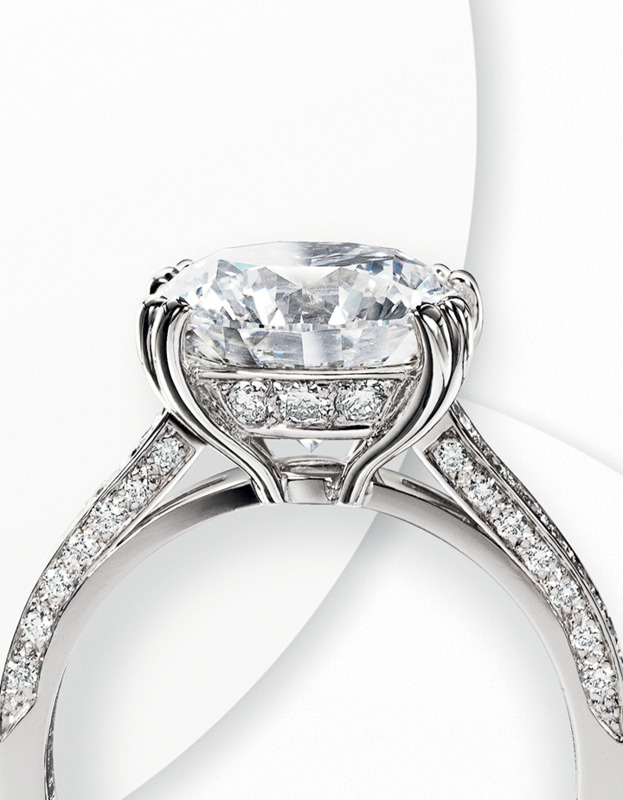 Couture ring in 18k white and black gold, set with diamonds for a total weight of 2,20 carats, limited edition.